There are no photos with those IDs or post 26633 does not have any attached images! 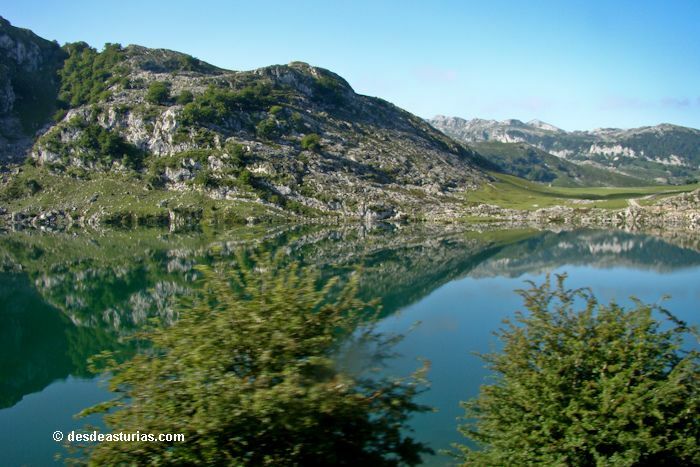 If we want to get closer to know the Lakes of Covadonga, access is free all year, except for certain periods of regulation, in which a fleet of buses guarantees the movement of all visitors between Cangas de Onís, Covadonga and the lakes. The access restriction period in a private vehicle, with the exception of authorized vehicles, will start this year on the weekend before Holy Week, the 12 in April and will reach the May bridge, extending in this first phase for a total of 23 uninterrupted days. However, as a novelty, restricted access is eliminated the last three weekends in May. · Weekend 13 and 14 for April. · Holy Week - May Bridge. 23 days in a row. · From the 1 of June to the 16 of OctoberInclusive. *** With three dates of exception: the 8 of June, when the cyclotourist of the Lakes is celebrated; the 25 of July, coinciding with the Festival of the Shepherd in the Vega del Enol and the 8 of September, Day of Asturias. · From 1 to November 3, coinciding with the Bridge of the Dead. · From the 6 to the 9 of December, coinciding with the Bridge of the Constitution. The cut of the highway of the Lakes of Covadonga will be made from 8.30 to 21 hours during the plan days of April, May, June, July, August, September and October, while on the bridges of November and December will open to traffic two hours before, at 19 hours.